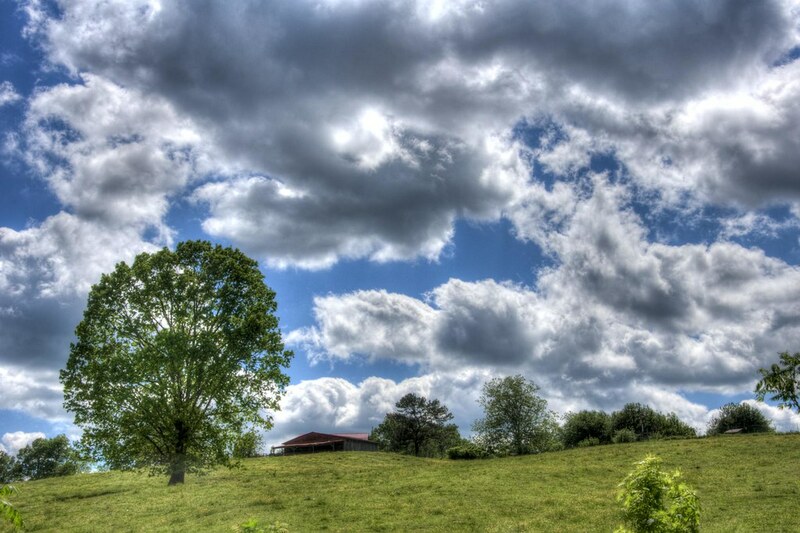 Clouds over the Barn | Just Shooting Memories! Have you made it on Google+ yet. If you are look me up Daryl Clark. Right now it is by invite only, but hopefully, it will be open soon. They have an amazing interface and the idea of having circles of friends is interesting. Occasionally invites are available. Leave a comment with your e-mail address and I will try to get the first ten in. Fortunately, I live only about an hour north of Atlanta, Georgia. I think this gives me the best of both world, rural landscapes and big city urban areas. The wonderful thing is, I get to drive through some very picturesque areas. This happens to be one of them. My only problems is that the sky does not always cooperate. However, the cooperated this day. I just wish they would hang around more often.